This custom micro-tower brings the performance—and the fan noise, too. If you still think a gaming rig is a PC that’s so big, you have to throw a party to get help lifting it out of the box, we’ve got news: Performance PCs don’t have to be gigantic anymore. 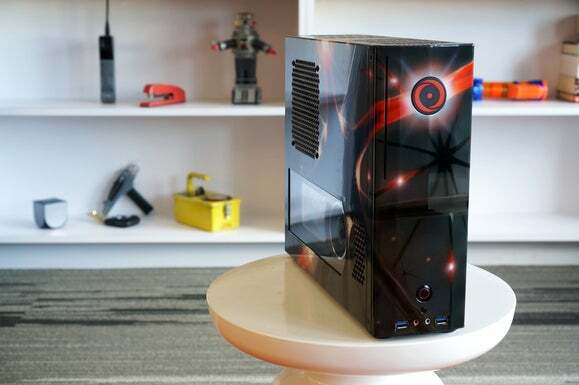 Nothing illustrates that fact more than Origin PC’s redesigned Chronos micro-tower, which packs state-of-the-art hardware into a machine not much bigger than last-generation gaming consoles. Sure, you’ll choke at the price—$4,865 as configured—but the performance you get from such a compact machine is impressive. 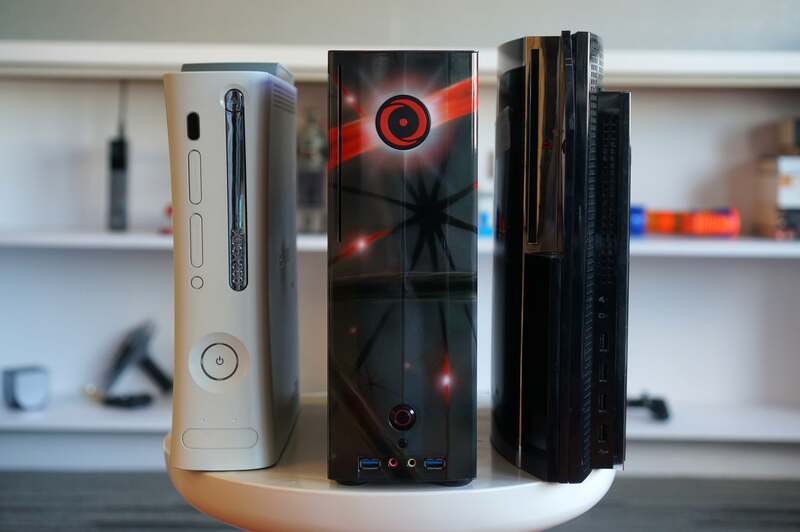 The Chronos isn’t much larger than the Xbox 360 and PlayStation 3. Most boutique vendors use off-the-shelf designs or slightly modified cases, but for this generation, Origin designed the Chronos from scratch and had it built to spec. I've seen smaller micro-towers, but not many that are as friendly to wrench on. You're just a few screws away from accessing the RAM and CPU cooler, and even removing the GPU. Overall accessibility is quite good for a PC this small. Despite its size, working inside the Chronos isn’t as bad as with other designs. Storage is kept behind the GPU, which means it may get a little warm. A lot of micro-towers are intended to be used vertically, but Origin gives you a choice. Want it horizontal? Just relocate the magnetized feet and lay it flat. 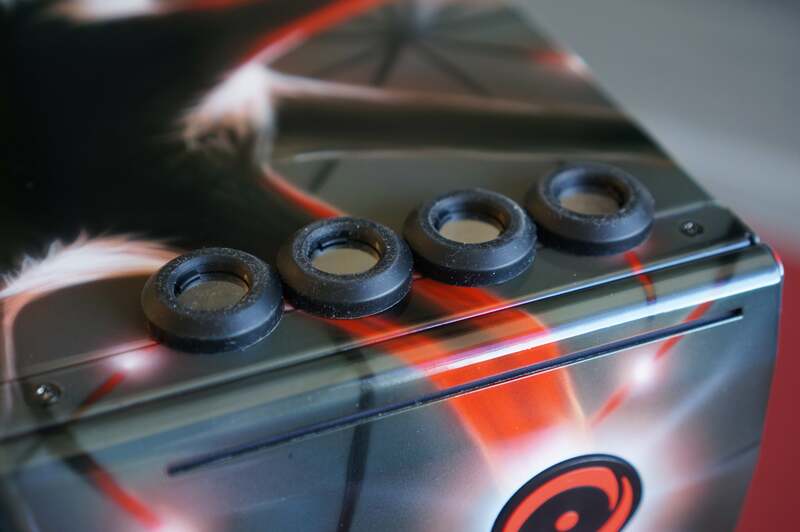 The prototype case we saw at CES allowed you to rotate the logo too, but our test unit’s logo wouldn’t budge. They’re just magnets, but the removable feet work relatively well and can be moved depending on the orientation of the case. Powering the Chronos are an 8-core Core i7-5960X and 16GB of 2666MHz DDR4 RAM in an Asrock motherboard. The RAM is in dual-channel mode, which is the only option in a board this small. That may scare off some people, but my own testing indicates the performance hit is minimal in most tasks. Gaming chores are left to Nvidia’s top-dog Titan X graphics card, which may sound like an odd choice given the option of Nvidia’s GTX 980 Ti. 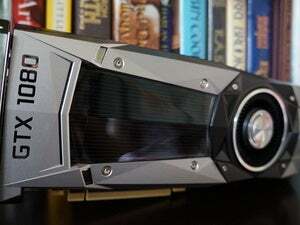 The 980 Ti is almost as fast and a lot cheaper, but for some reason, PC vendors have taken the VR craze as an opportunity to push the Titan X instead. Origin has overclocked both the CPU and GPU in the Chronos. The 5960X is liquid-cooled, and it’s been boosted to a range of 3.7GHz to 4.4GHz (its stock range is 3.0GHz to 3.5GHz). The EVGA GPU is air-cooled with a stock cooler, but still gets a bump of 195MHz to the GPU core and RAM. This should all add up to a stiff performance increase, and for the most part, that’s true. 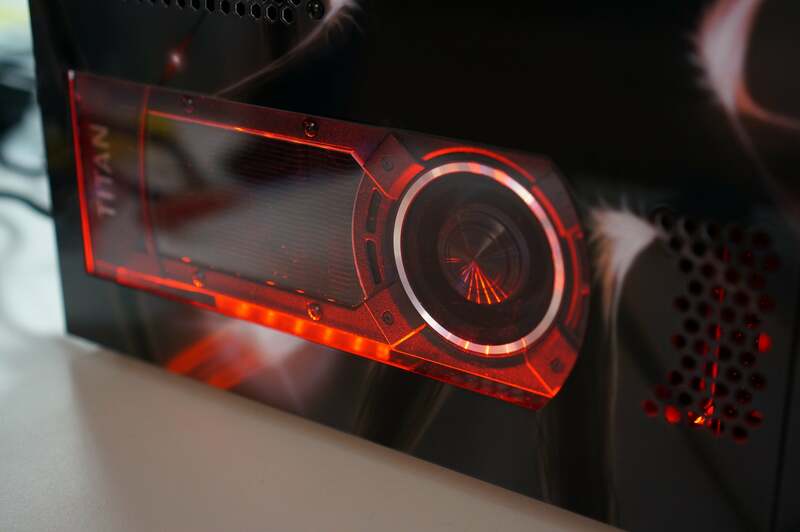 When turned on, the Titan X gets a red LED treatment. Too bad that’s AMD’s color amirite? For storage, the Chronos comes with a 512GB Samsung M.2 850 Evo NVMe SSD and 5TB Western Digital Red hard disk drive. The PCIe-based NVME drive is no slouch, with Crystal Disk Mark 4.0.3 measuring sequential read speeds in the 2.5GBps range and sequential write speeds in the 600MBps range. You also get a slim slot-fed Blu-ray burner combo drive, and a 600-watt PSU provides plenty of juice for all this hardware. 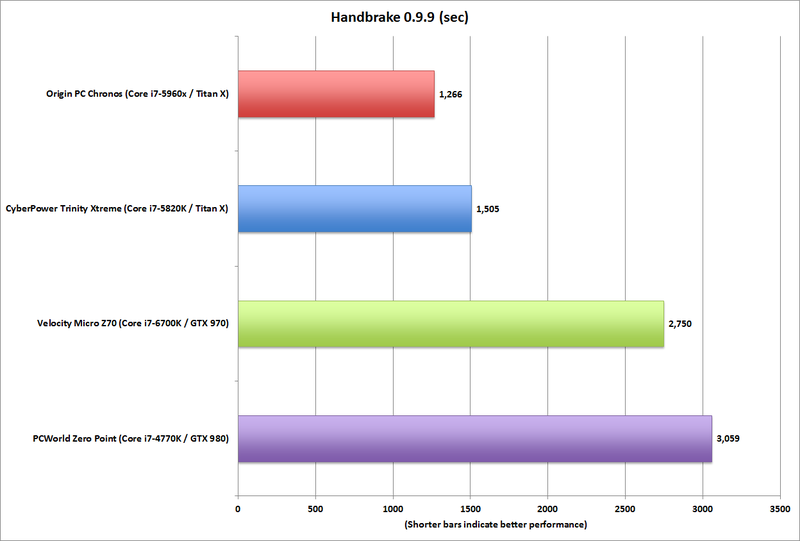 Because you shouldn’t buy an 8-core PC and then leave those cores unused, our first test was encoding a 1080p MKV file using Handbrake 0.9.9. This popular free encoder loves CPU cores—the results speak for themselves when you compare the Chronos with the quad-core processors in our zero-point desktop system and Velocity Micro’s Skylake-based Z40. The Haswell-E systems eat the quad-cores alive, but I’m a little let down by the scores from the Chronos when stacked up against the CyberPower Trinity Xtreme. 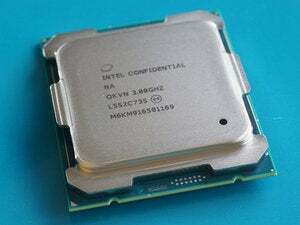 The Trinity Xtreme also uses a Haswell-E chip, but it has 6 cores instead of 8. The 8-core and 6-core blow away the quad-core chips, but the small gap in performance between the Trinity Xtreme and Chronos is disappointing. Most people buying the Chronos will have the intention of playing games, so we tested this little tower’s gaming performance using the synthetic but well-respected 3DMark benchmark. As expected, the GeForce GTX 980 and the GeForce GTX 970 get left in the dust. 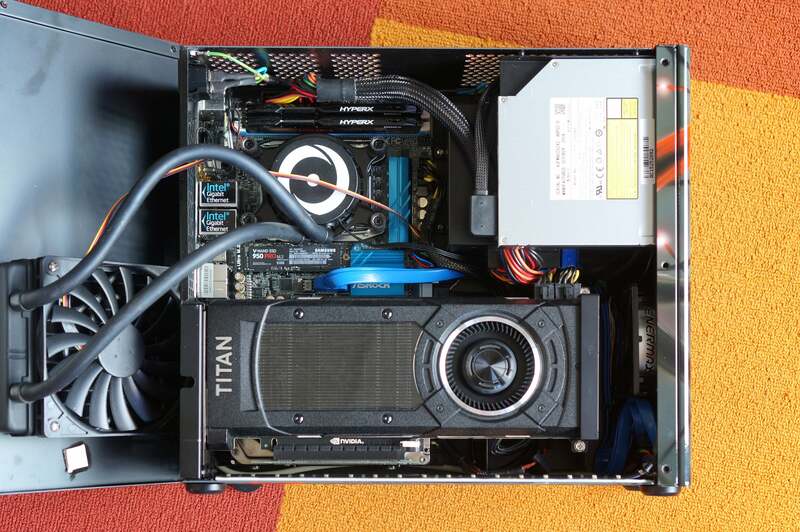 The overclocked GeForce Titan X outpaces the stock-clocked card in the CyberPower Trinity Xtreme, too. 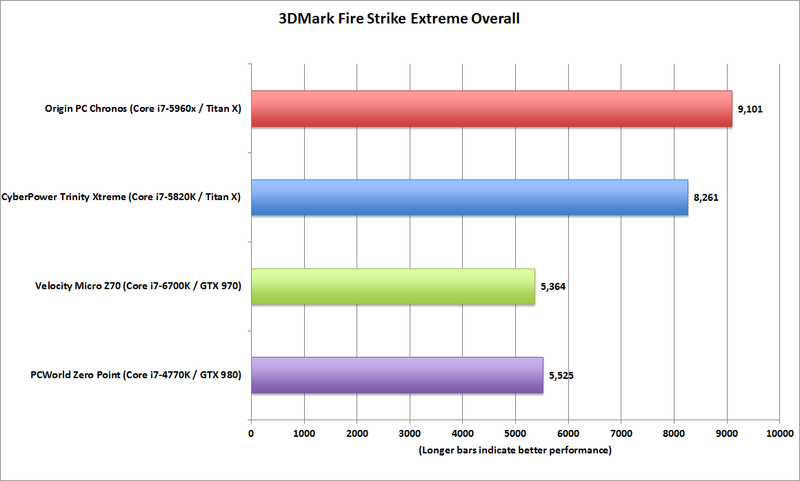 Titan X is indeed faster than GeForce GTX 980. We also gave a real game a go, and ran Tomb Raider at 2560x1600 resolution with the Ultimate preset to see how the Chronos stacks up. 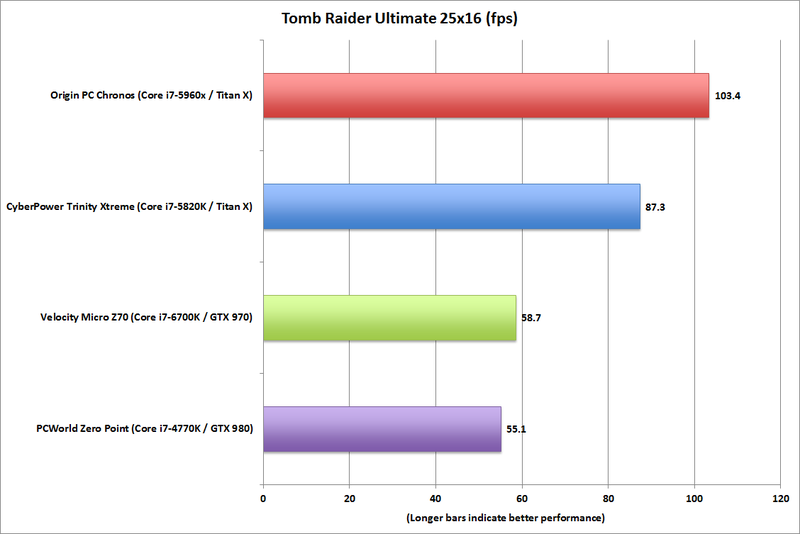 Tomb Raider is actually a little more sensitive to CPU clock speeds, so the faster chip in the Chronos outpaces the Trinity Xtreme by a healthy clip. You can see the classic dilemma with GPU scaling illustrated here, as you don’t triple (nor quadruple) performance in Middle-earth. Still, you can clearly see that both the three-card and four-card systems are faster. I also ran the machine at 4K resolution in Rise of the Tomb Raider, The Division, and Rainbow Six Siege using Very High for Rise and Ultra for the latter two games. Rise of the Tomb Raider and The Division had frame rates in the low to mid-40s, while Rainbow Six was in the 60s. The upshot is the Chronos has enough chutzpah for some games at 4K, but others will require turning down settings to hit the magical 60fps mark. That’s not bad for a single-GPU machine as small as an Xbox 360. Micro-towers can do everything a full tower can do—except run multiple video cards. If there’s one thing you should take away from the performance numbers you’ve seen, it’s that the Chronos is a fast machine. It crushes quad-core machines in the CPU-heavy tasks such as video encoding, and its overclocked GeForce GTX Titan X also outpaces other single-Titan X machines we’ve seen. The problem is that performance ain’t free. When you load up the Chronos with a compute- or graphically intense task, the fans kick in—enthusiastically. The noise isn’t server-fan shrill, but it’s noticeably loud. You won’t want it on on your desk without a headset on and the volume cranked. There are bigger reasons than fan noise to give gamers pause about the Chronos: If the rumors, leaked pictures, and parts on eBay are right, we’ll be seeing fresh hardware from Intel, Nvidia and AMD within months. It might be wiser to wait and see what comes down the pipeline, especially since those new parts should work just fine in the Chronos’ existing design. Still, I like what I see. The Chronos is fast and compact, and it features a lot of clever touches like the magnetic feet and serviceable interior. 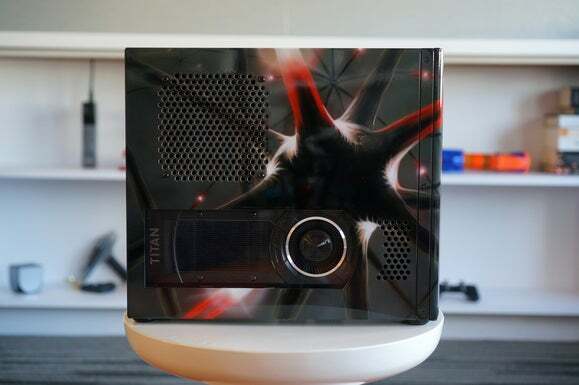 Yeah, its price is difficult to swallow at nearly $5,000—hell, the paint job adds nearly $500 to the price tag, and with a $1,000 CPU and a $1,000 GPU, those extras all add up quickly. The good news is that at least you get the performance you’re paying for. 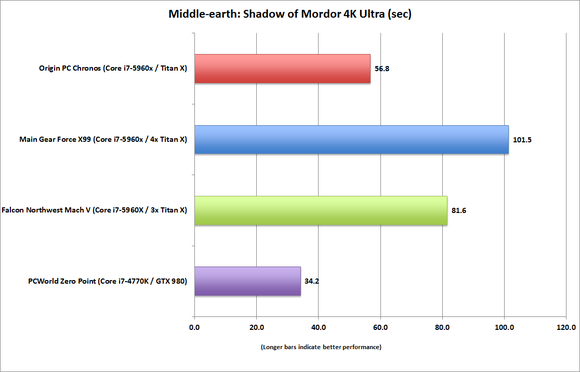 With a SteamVR Performance score of 11, the Chronos and its Titan X will be ready for VR gaming from day one. With its blazing fast 8-core chip and a beefy Titan X graphics card, the Origin PC Chronos is easy to like. Its only real drawbacks are fan noise and price, but looming large in the background are rumors about new product launches in the near future. If those happen, this current configuration will become obsolete in a very short time.